Use: Effective single specimen or in groupings at Borough gateways. Not for use as a street tree. 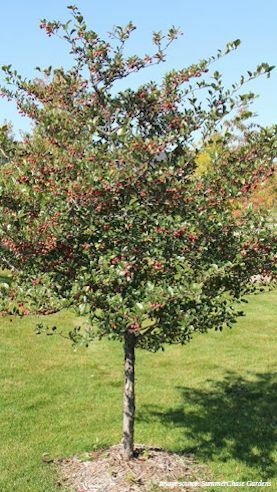 Notable Characteristics: Slow to medium grower, white flower, lustrous green leaves, bronze-red fall foliage, red fruit. Limitations: Thornless varieties including Thornless Cockspur and Crimson Cloud Hawthorns should be used.